I hooked you with that title didn’t I! This “thing” was making it’s way across my garden table this afternoon. I mean really, this “thing” is huge! See what I mean! And look at those colors! and found out his name. And then I remembered this visitor I had back in July. The biggest, prettiest Wild Saturniid Silk Moth I have ever seen! The caterpillar is definitely interesting, but the moth is beautiful I’ve never seen anything like either of them. I read they like to eat fruit trees! Hope I don’t have lots of these darn things! just keep it away from your winter greens ! beautiful though ! I understand they eat my fruit trees too–that is not cool! PS working on the photos for your guest blogging. Yes, the moth and the Thing…Great find! It looked like something from the Lion King, remember when they ate the bugs! Incredible. Our caterpillars aren’t quite so colourful or big over here. 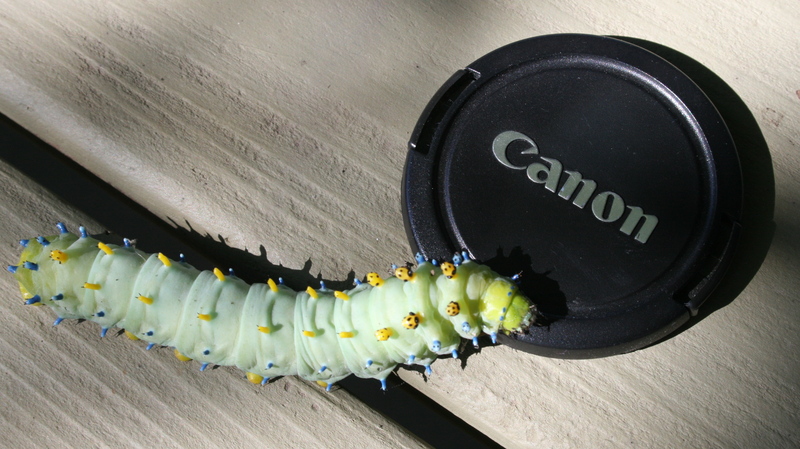 I have never seen one this large before either…kinda hope I don’t have many of these things lurking! It didn’t look real either with those colors! The moth was just stunning colors, and it’s like fur! Thank you for your very kind comment you left on my blog today…. You truly made my day! I am so glad you are happy with everything! p.s. You have a beautiful blog! Your images are beautiful! WHOA! I think that may be my favorite caterpillar yet. It went to 5th grade for a day and they watched it spin its silk cocoon all day! 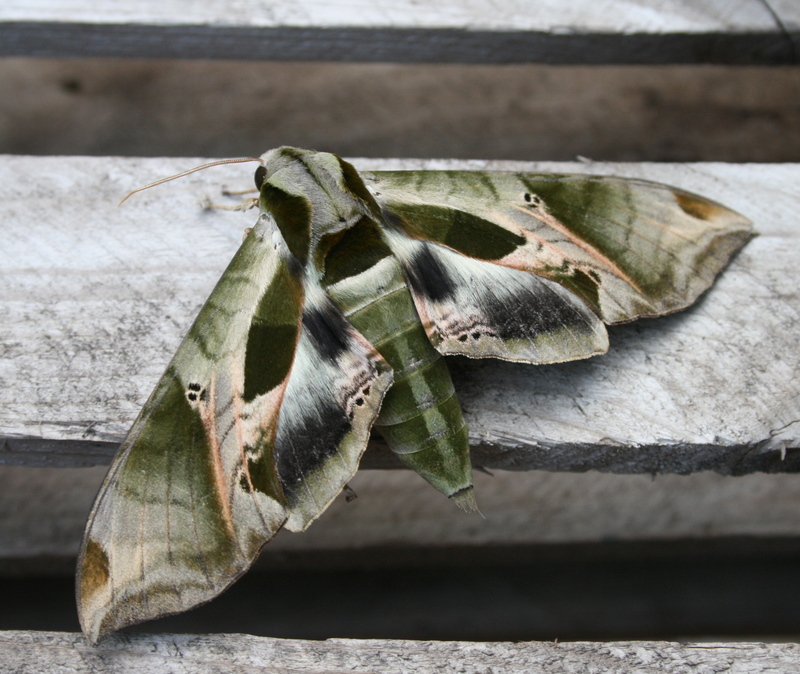 It looks fake – both as caterpillar and as moth! The caterpillar looks like an alien from outer space. I hope you don’t have too many. Lucy took it to 5th grade for the day and it spun it’s cocoon all day…it’s on my window sill now…fingers crossed! Beautiful! And thanks for commenting on my blog.